A shortcut one day leads to an omission the next and before we know it we’ve forgotten the correct way to do things. But it’s not just bad habits we have to watch out for, as we gain confidence as Motorbike Riders our aspiration can often extend beyond the limits of our ability. What might have been the correct procedure for a slow speed ride through the city centre is often not relevant in the faster moving world of motorways or the twisting lanes of a country road. winter and then back to summer means that Riding styles have to change with the conditions. Leaf covered wet roads cannot be taken with the same enthusiasm as they were two months earlier on a sunny day. It’s not just the road condition that changes with the weather, the motorbike’s ability to deal with the colder, wetter conditions may have altered too, cold tyres grip less, lean angles are reduced and braking distances increase. The move from winter back to summer means more grip and cornering speed but if they’re not used to the increase speeds riders can often find themselves miss-judging bends with potentially dangerous consequences. If the Motorbike was laid up for the winter it might be the rider that needs a bit of a shake down along with the bike! 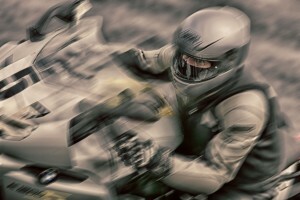 I f you’ve ever traveled behind an Advanced Motorcycle Rider you’ll notice some things about his/her riding. 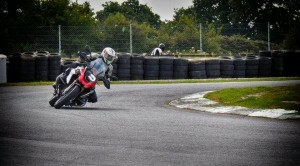 The smoothness of their riding style, the ease at which they corner a motorcycle and their lines through corners. They always seem to anticipate the unexpected – it’s almost as if they always seem to know what’s going to happen before it happens. This is where we de mystify the black arts of advance riding. The Advanced Motorcycle Training Course goes through the five foundation stones of Motorcycling Riding as taught to Police Motorcyclists. We won’t be teaching you high speed pursuits but we will be working on the principals these Riders use when engaged in their duties. We’ll work hard at hazard analysis to identify the warning signs that things are about to go pear shaped. We learn to read the road – understand what’s around the corner long before we get there and learn how to control our environment to reduce the possibility accidents. We’ll also draw from race craft theory to understand what happens to the Rider and Motorcycle under stress. 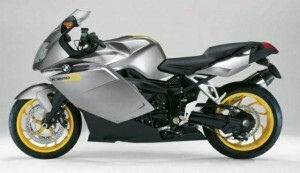 What are the Motorcycles weaknesses and strengths. How can a Riders survival reactions can often create more danger that they solve. Advanced Motorcycle Traini ng takes place over three different types of terrain, motorway, rural and urban roads so we can examine the dangers and pitfalls of each. Every Rider can benefit from Advanced Riding Training, whether your commuting, touring or just going for a Sunday spin. The Advanced Riding Course sets you up to be able to deal with the unpredictability of the road, road users and the elements. It will help you understand your Motorcycle better and ensure you get the greatest pleasure out of your Motorcycling while riding to the highest safety standard. For more information on cost go to Motorcycle Training Prices page.